Unsere Mitteilungen im Überblick, chronologisch sortiert: zum Lesen und als Download-PDFs für dich. Ampelmann, the new ambassador for Berlin – from the “The Economist” April issue’s cover hero, to the first traffic light man in Tokyo. With a waving flag, our Ampelmann adorns the front page of April’s 2018 issue of the renowned British business magazine "The Economist". With a known determined step, it strides high up on the Brandenburg Gate towards the future. 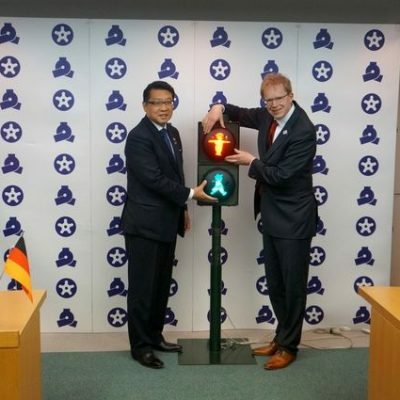 Out to the world and in to Tokyo, 8.910 km away, where the first east traffic light man outside of Germany will be installed in the future, the Ampelmann figure stands for the cosmopolitanism and coolness of Germany's "new" era. Am Samstag, den 27. 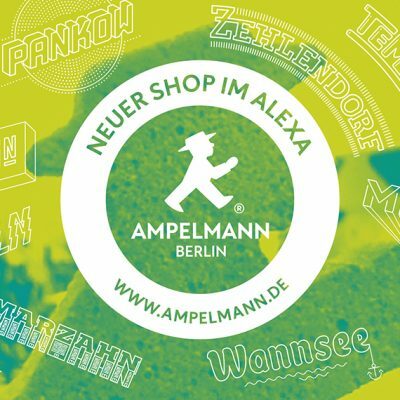 August 2016, macht die Berliner Stadtmarke AMPELMANN ihren achten Shop auf. Im Einkaufszentrum ALEXA, direkt am Alexanderplatz, eröffnet die AMPELMANN GmbH den zweiten neuen Shop, inklusive Kaffeekiosk, in diesem Jahr.